We are leading producers of DRG Pumps in India and we used to offer praiseworthy scope of Vacuum Pumps and DRG Pumps. DRG high Pressure plunger settled uprooting pumps have two free pumping segments. In view of which the repudiating movement to the plungers is given by the focal unpredictable and return springs. 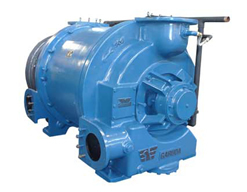 The oil conveyance of DRG Pumps is controlled by suction and release valves. Because of oil submerged write development, oil to the moving parts and additionally cooling is affirmed naturally. This product is broadly availing by many industries if India and even from other countries also largely availing this pumps due to its great durability. This DRG Pumps are mostly seen in Chemical Industry, Biotechnology, Pharmaceutical, Paper industry and Food Industry etc.